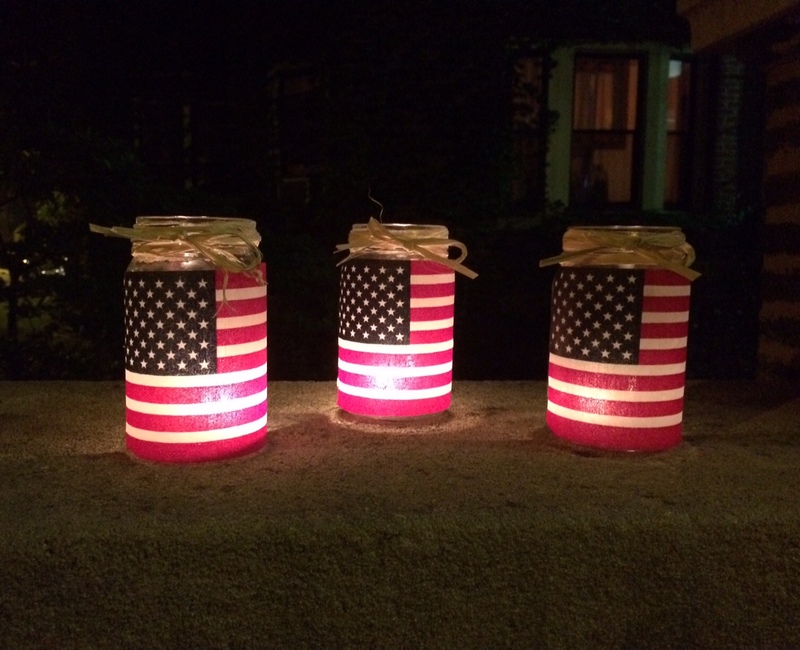 If you make this next craft, the fireworks won’t be the only thing lighting up your Fourth of July celebration. 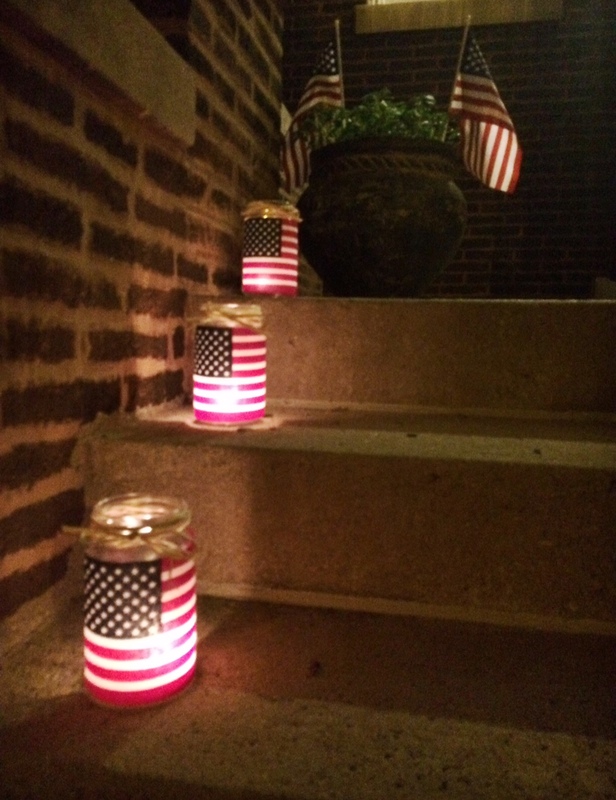 These patriotic tea light candle holders are sure to add some extra FLARE to the night! 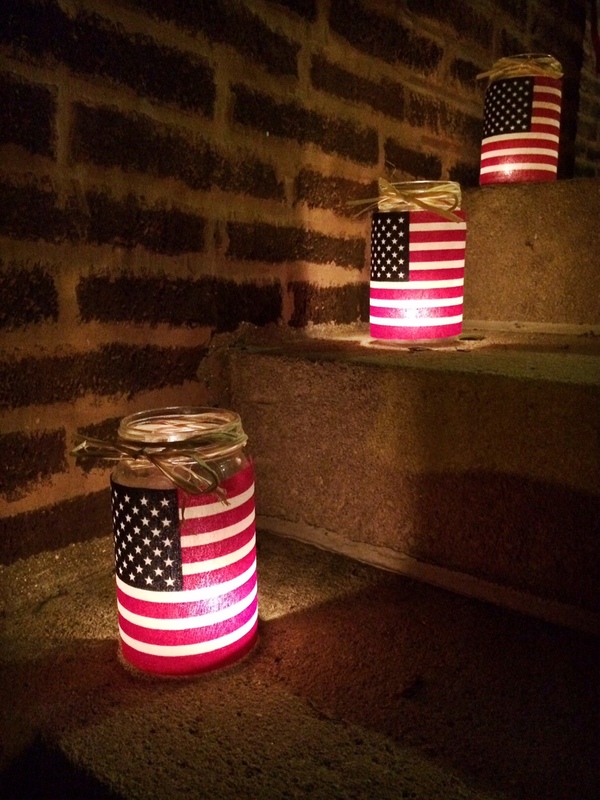 Like many of the crafts featured on this blog, these are simple and inexpensive to make. 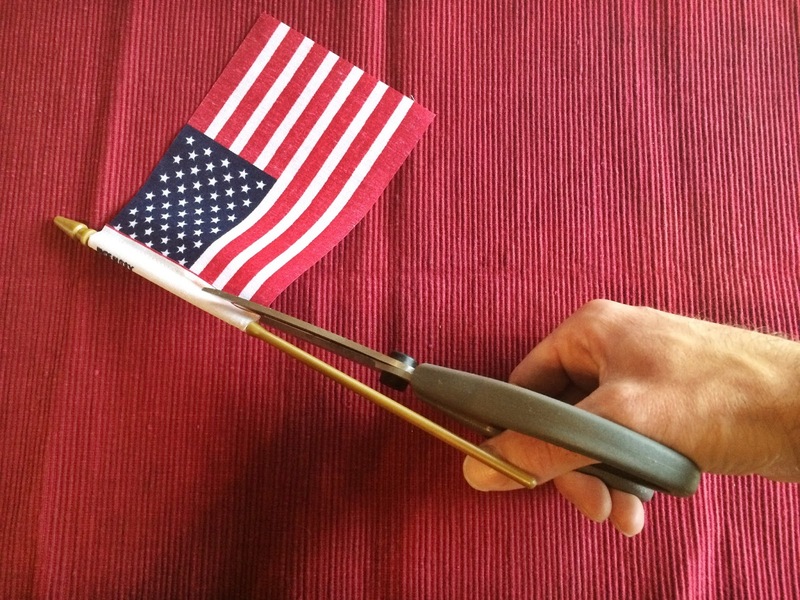 First, cut off the excess material on your flag following the vertical white line. This will also remove your flag from the pole. 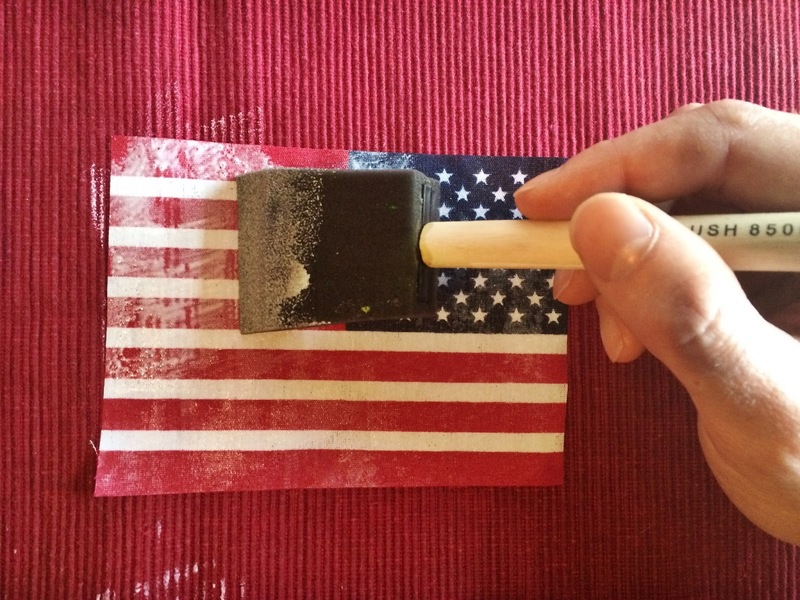 Using your foam brush, apply Mod Podge to the backside of your flag. 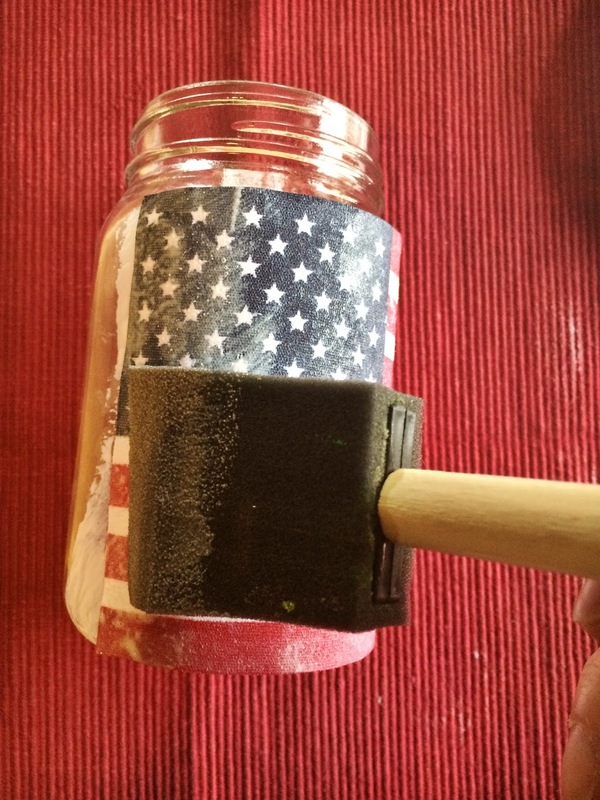 Then, wrap your flag around your jar. 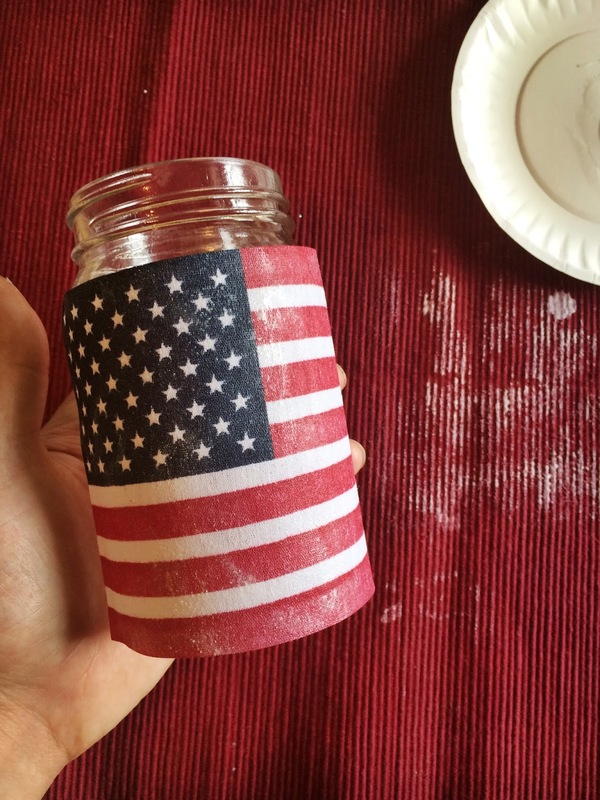 Apply a second layer to the top of your flag. Make sure to smooth down the edges. 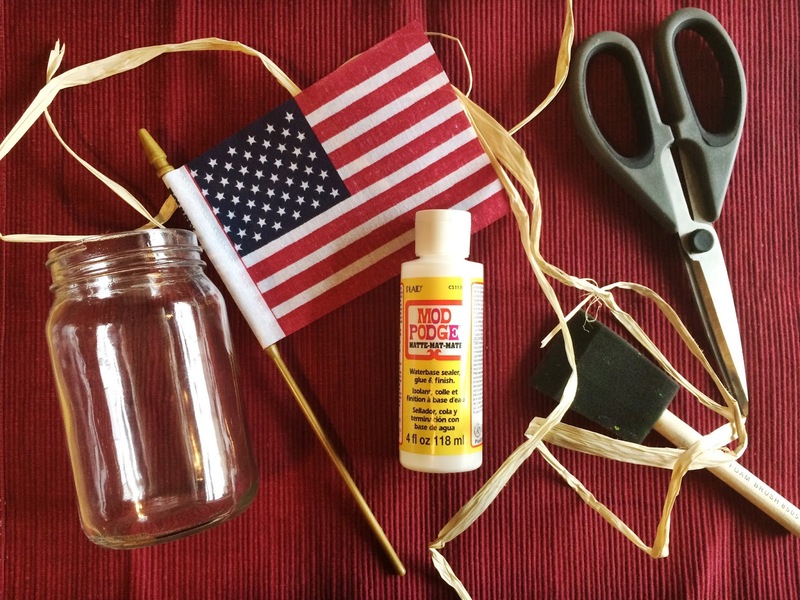 Don’t worry, you can remove the excess glue from the jar after it dries with a damp warm paper towel. 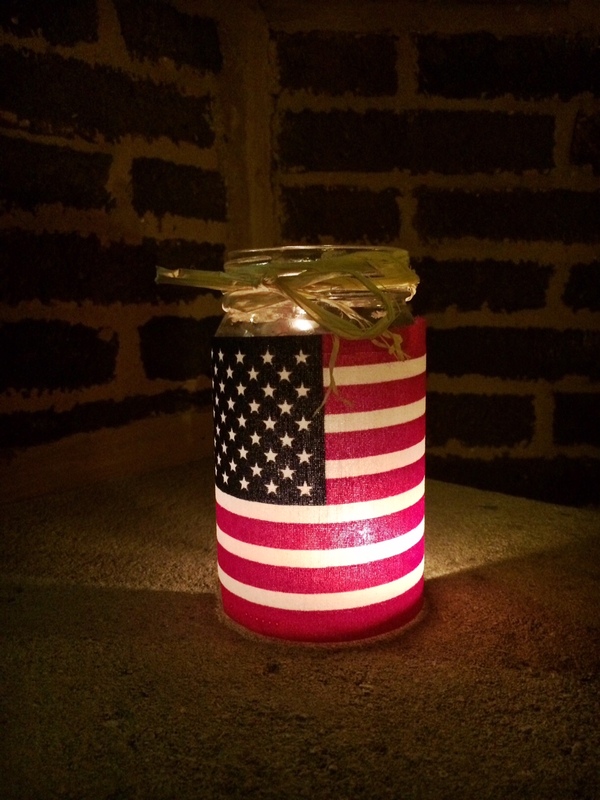 Once completely dry, wrap some raffia around the lip of the jar a few times and tie into a bow. Place a tea light inside and light and enjoy. Be sure to never leave any candles burning unattended. 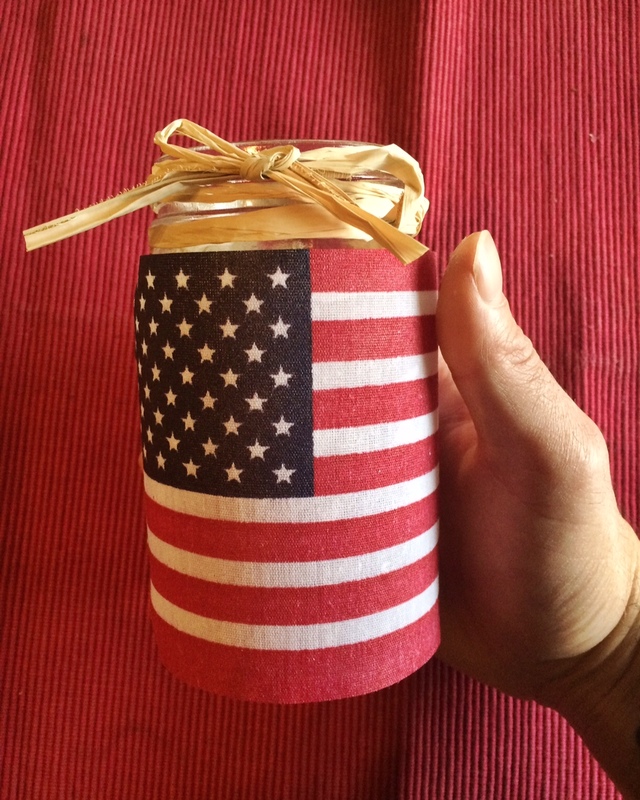 I hope you have a happy and safe Fourth of July!